EU transport chief Violeta Bulc has defended the European Commission’s move to vouch for a controversial German road toll bill that has spurred blistering critique and threats of a lawsuit from 11 neighbouring countries. 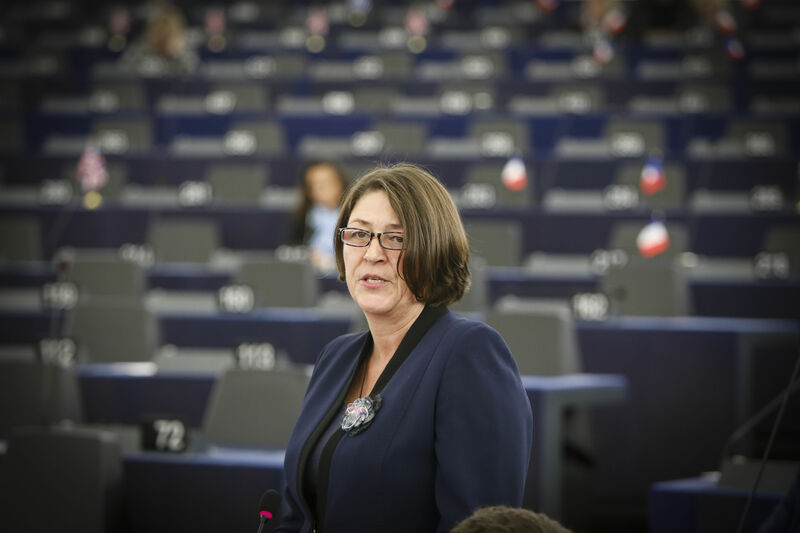 Bulc came under fire yesterday (15 February) in a plenary session of the full 751-member European Parliament when MEPs railed against the Commission for waving through the German bill, which would charge drivers based on how many days they use roads but reimburse that fee only to vehicle owners registered in Germany. The transport Commissioner told MEPs that an overhaul of EU road toll rules that she plans to propose this spring could lay down measures against discrimination of vehicle owners from another EU country. “It is very important for me and the EU that Germany now agrees to put their road charging forum in the context of a future EU-wide system,” she said. 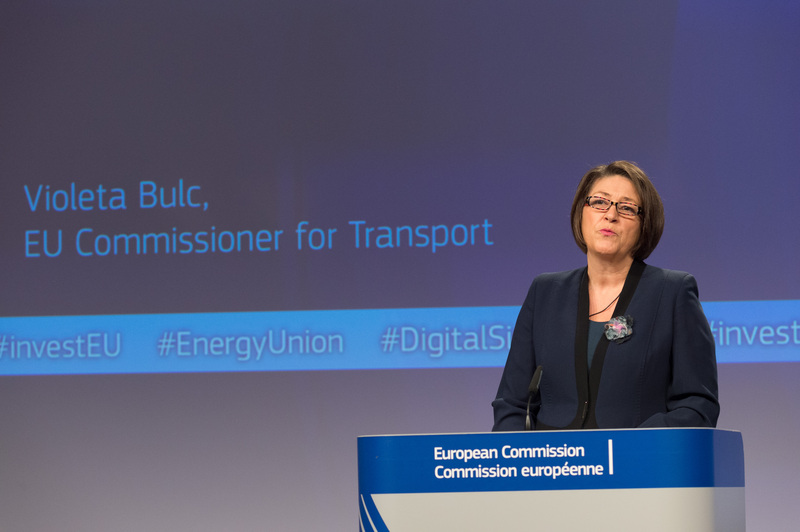 Bulc said her proposal could also introduce the first EU-wide toll rules for passenger cars. Currently, EU law includes measures on road tolls for trucks. But a group of inflamed critics who have rallied against the German bill argue it does exactly what Bulc wants to prevent by discriminating against foreign drivers. 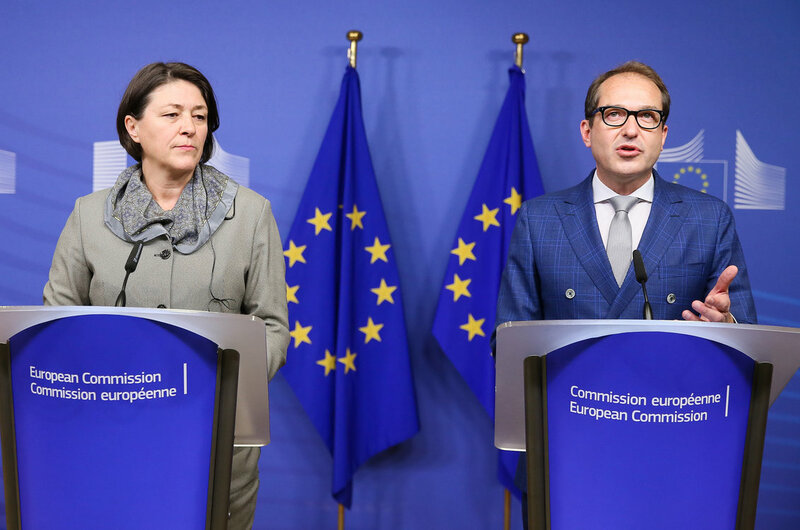 Austrian Transport Minister Jörg Leichtfried, who is leading the 11-country charge against the bill, said in a statement yesterday that Bulc should “rethink her position” and reject the “clearly discriminatory” German law. He warned that the Commission’s approval of German Transport Minister Alexander Dobrindt’s plans creates the impression that big EU countries always get their way. “If everyone tries to hurt the other and break the rules, Europe will fall apart. The European Commission has to be aware of this danger,” Leichtfried said. For over a year, the Commission put up a fight against the bill, which is expected to face a vote in the Bundestag this spring. But the executive agreed last December to freeze a lawsuit against Germany over the law in exchange for new measures that would charge lower rates to drivers with more environmentally friendly car models. German Transport Minister Alexander Dobrindt and Violeta Bulc, the EU transport commissioner, have ended their prolonged fight over a controversial German road toll—provoking anger from neighbours but paving the way for a European-wide road tolling scheme next year. Bulc said yesterday that the Commission could still reopen the legal case if it determines the toll rules break EU law once the final version is passed by the Bundestag. “The infringement will be closed if and only if the Commission is convinced the German laws do not discriminate against foreign drivers,” she said. Commission President Jean-Claude Juncker intervened to negotiate the deal in December in a move that signalled the bill’s political importance. The planned road tolls have been a political priority for Dobrindt, a member of Bavaria’s centre-right Christian Social Union, the sister party to Angela Merkel’s Christian Democrats. The road toll was a major campaign promise from the Bavarian conservatives ahead of the last Bundestag elections in 2013. With new elections looming on 24 September, getting a green light for the law could bolster Dobrindt’s party standing. But he could still suffer a major blow over the embattled road toll law. A group of experts from Austria and 10 other neighbouring countries met in Brussels last month to weigh their options against the bill. Another meeting is planned for March and politicians in those countries are threatening to bring Germany to the European Court of Justice over the law. The European Commission referred Germany on Thursday (29 September) to the European Court of Justice over a planned road toll that it says discriminates against foreign drivers. On top of that, lawmakers in the European Parliament’s Transport Committee (TRAN) are pressuring the Commission to drop its support for the contentious road toll bill. A non-binding resolution slamming the bill and criticising the Commission for backing it will be voted in the committee at the end of the month and then brought to the full Parliament in a March plenary session. According to a draft of the resolution seen by EURACTIV, MEPs call the road toll law discriminatory and argue that it will make it harder for cars to cross borders. They also said it might conflict with the Commission’s plans to create road toll rules that charge cars higher fees if they pollute more. “Road charging systems for any type of motor vehicles should be electronic and distance-based and should comply with the ‘user pays’ and ‘polluter pays’ principles,” they wrote. Environmental groups have pushed for road tolls that charge vehicles based on how many kilometres they drive and not how many days drivers spend in a country. They argue a so-called distance-based toll system would incentivise less driving. If Dobrindt’s bill is approved, Germany would become one of eight EU countries with road tolls that charge based on how many days drivers stay in a country. Critics say short-term vignettes sold at unfairly high rates discriminate against foreign visitors who are more likely to buy them. Bulgaria, Hungary, Romania and Slovenia sell short-term road vignettes for seven-day use, while Slovakia, Czech Republic and Austria sell vignettes that are valid for ten days. Germany’s proposed law would offer vignettes for ten-day, two-month or one-year periods. “Let me assure you that we’re not after a revolution here,” Violeta Bulc said at a small Brussels conference this week after she outlined her plans to overhaul rules governing transport and shipping on roads. German Transport Minister Alexander Dobrindt has championed new road tolls that would charge vehicles driving on German roads. Many Germans are frustrated over road tolls in neighbouring countries (including France, Austria and Switzerland), while foreigners use German highways for free. The Christian Social Union (CSU), the Bavarian sister party of Merkel's Conservative CDU, has been requesting for many years that higher road tolls be introduced for foreign car drivers using German roads. This was included in the coalition agreement, which promises to introduce "a motor vehicle toll in compliance with EU law, by which owners of cars not registered in Germany would help finance additional spending on the highway network. Cars registered [in Germany] should not suffer higher costs." But the scheme irked the European Commission because vehicles registered in Germany would be reimbursed for those charges, while vehicles registered outside the country would not be. The European Commission launched an infringement procedure against the law and is determining whether it discriminates on drivers based on nationality, something that would be illegal under EU law. In December 2015, the Commission requested more information from the German government about the law. Germany has until 10 February 2016 to respond. 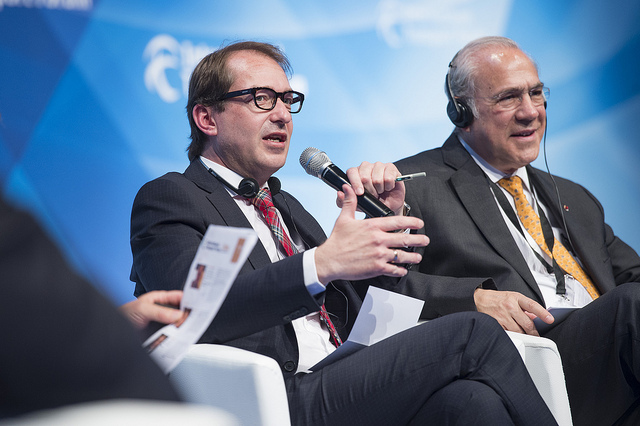 Dobrindt criticised the Commission for delaying the law and maintained that the tolls are compliant with EU law. The Commission referred an infringement case against the German law to the European Court of Justice in September 2016 but stopped the case two months later when Commission President Jean-Claude Juncker and Transport Commissioner Violeta Bulc brokered an agreement with Dobrindt over a comprise road toll law. So I will be penalised because I am a UK citizen currently working, and paying tax, in Germany because I have my UK registered car with me. I have not bought a German registered car because I amy only be here until Decemeber. Therefore I get penalised twice by the German government.